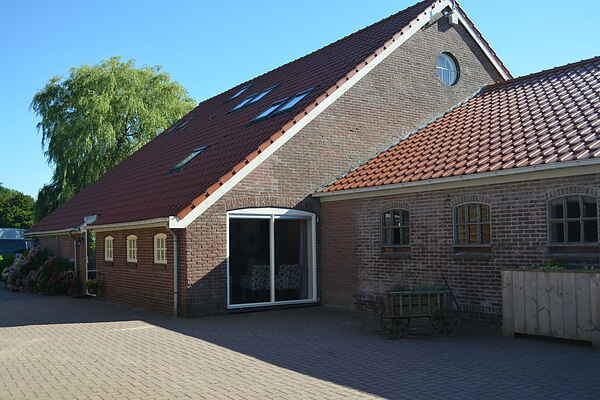 This comfortable and charming property is situated on a farm in the Drenthe-Friese Wold, in the picturesque village of Old William. This former farmhouse still houses many small animals such as chickens, rabbits and Drenthe-heideschapen.Het house is ideal for families and families with children. The extensive play facilities on site, they will not be bored. Wonky and the children are busy playing, parents can enjoy the outdoor area with a nice view over a beautiful natuurgebied.De area is ideal for hiking and cycling. National Park Drents-Friese Wold is a beautiful and varied woodland and heathland known for "Bald Dunes" or "Aekingerzand". Nearby is the village of Diever (6km) known from the "Shakespeare" performances. Other trips include to the indoor play Oranje Play and Emmen Zoo.